Day one was full of surprises. We’ll keep you up to date. This post is brought to you by Skrilla, esports daily fantasy. Register and compete at the Skrilla website. The first day of the Mid-Season Invitational group stage is behind us, but there’s still plenty more League of Legends—and fantasy—action ahead. Today we’re going to take a look at day two and three of the group stage and give you the skinny on what matches to watch for and what players to pick to perform this weekend in your daily fantasy contests. The first day was full of surprises. EVOS Esports upset Team Liquid, who lost both their games. Flash Wolves opened 2-0, knocking off the now 0-2 Fnatic. 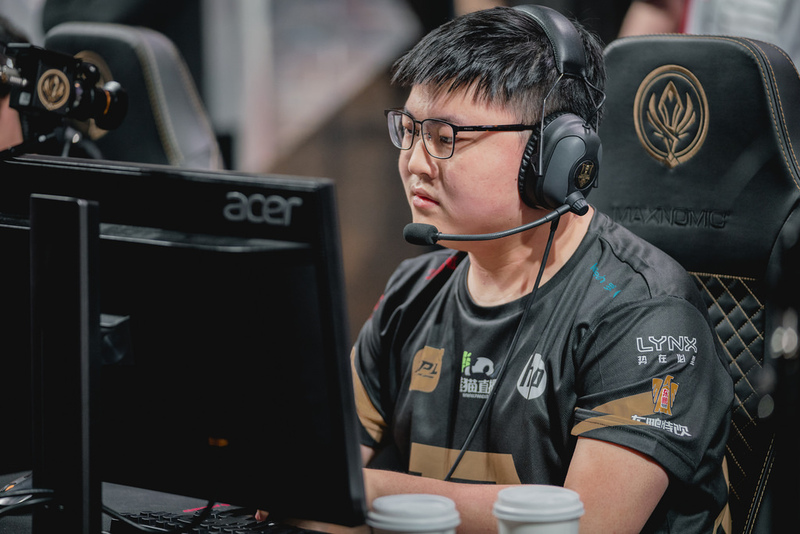 The Wolves were glorious for fantasy with mid laner Huang “Maple” Yi-Tang posting a ridiculous 12-0-5 scoreline against EVOS Esports and following it up with a 6/0/4 mark against Fnatic. If you didn’t have Maple in your lineup, you probably had a bad time. Note that the statistics listed for each player are pulled from the most recent regular season of play in their domestic leagues. 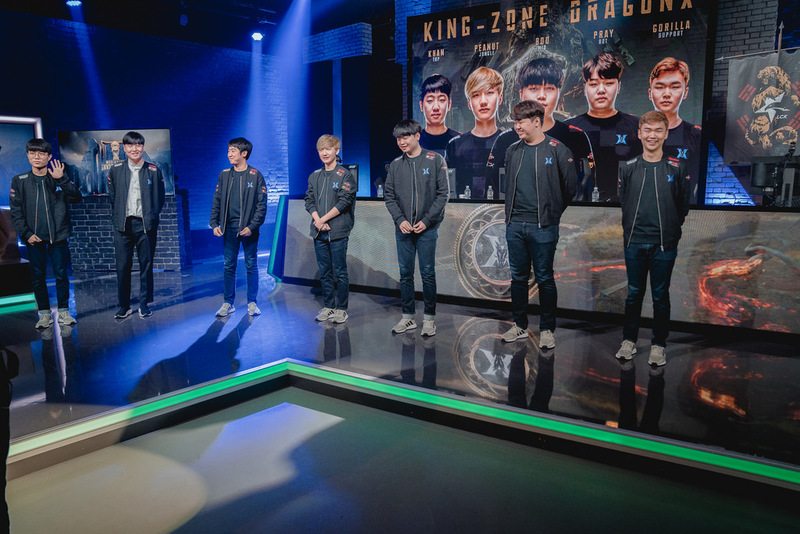 KINGZONE didn’t have a huge day one despite winning both their matches, and that’s in part because they played tough foes who don’t give up a lot of scoring. That changes on Saturday. Keep KINGZONE in your lineups. One thing to keep in mind, though; while we recommend starting Kim “Khan” Dong-ha today, on day one KINGZONE played towards their bottom lane. That’s an adjustment to the current meta, and it’s a bit different than the style they played in the LCK. For fantasy that means Kim “PraY” Jong-in should be a staple pick. The best team in the group stage against the worst, and EVOS loves to fight. Expect KINGZONE to rack up huge fantasy totals while blitzing their Vietnamese foes. The best top laner in the world gets a prime matchup against EVOS Esports. Then he gets to play Fnatic where he’ll lane against rookie Gabriël “Bwipo” Rau, who has no experience on a stage as big as MSI’s. Khan should have a huge day, and he won’t break the bank. Fnatic will have a rough time racking up fantasy points on Friday with KINGZONE and Team Liquid, a team that usually suppresses fantasy scoring, on the docket. Broxah may be a play on more favorable days, especially at his affordable salary, but stay away on Saturday. Maple was a fantasy god on day one, so we can’t blame you for putting him in the lineup. But his Saturday schedule isn’t a great one. Team Liquid plays short games that don’t produce big fantasy totals, and his second match is against Royal Never Give Up. Li “xiaohu” Yuan-Hao is a tough matchup even for someone as gifted as Maple, so steer clear today. Yesterday we sat him. Today, don’t. The flashy superstar Uzi likes to dazzle on the international stage, and Saturday will be his best chance to tally huge kill totals. 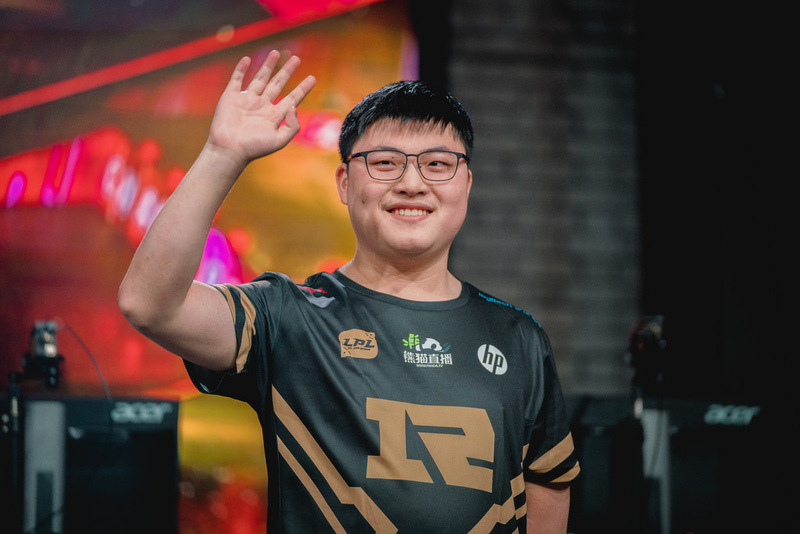 With EVOS Esports and Flash Wolves on the docket, RNG’s star should get fed, and that means a fantasy bonanza, even at his hefty price. You want to pick a support on a team that’ll win two matches each day since so much of their scoring is tied to team performance. KINGZONE may not drop a match all group stage, and they have a primo bout against EVOS Esports Saturday. The price is right for veteran playmaker GorillA. His 14350 salary should give you the room to fit Uzi in your lineup, and give production to boot. Sunday’s schedule features no standout schedules for fantasy production. The teams that play EVOS Esports have tough second matches. That makes KINGZONE an even better pick than they already are. The strength of their team, both at winning matches and in fantasy production, makes them immune to scheduling. The only worry is that they dominate matches so thoroughly through objective control that they don’t get a chance to score points. But that’s less of a worry with them than previous Korean international entrants. The one caveat to the poor fantasy schedule is this match. 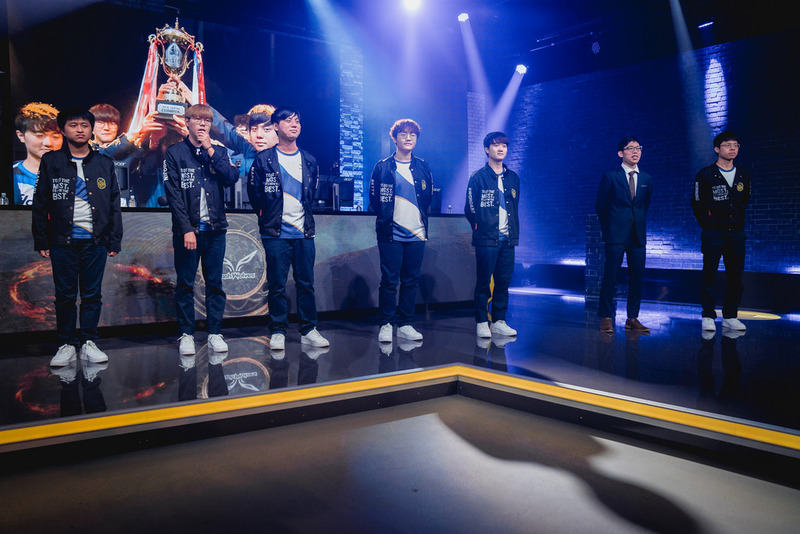 Flash Wolves destroyed EVOS in their first meeting and posted a ridiculous fantasy windfall. Both teams love to fight more than any other team in the event. It’s possible that the winner scores enough points in this match alone to make them a top contender on Sunday. Neither team has a particularly great schedule outside this match with KINGZONE on Flash Wolves’ plate and Fnatic on EVOS’, but on a day where no teams have a truly great schedule this match could produce some solid value plays. Impact may be a world champion, but that doesn’t mean he’s going to dominate the international stage. Sunday he gets to face off against the mighty Khan, and it doesn’t get much easier in the next match against Royal Never Give Up and Yan “LetMe” Jun-ze. Impact may be cheap, but he’s not going to pay off Sunday. The best jungler in the tournament gets a great matchup against Flash Wolves rookie “Moojin” and a decent draw against Team Liquid. If you’re looking for a play that isn’t KINGZONE’s Bwak “Bdd” Bo-seong, fit Caps into your lineup. Baby Faker should have a field day against EVOS Esports. Their second match, against Royal Never Give Up, will be a tough one, but no one has a great schedule on Sunday. North America’s greatest League of Legends player didn’t have a strong day one at MSI, and Sunday might be worse. 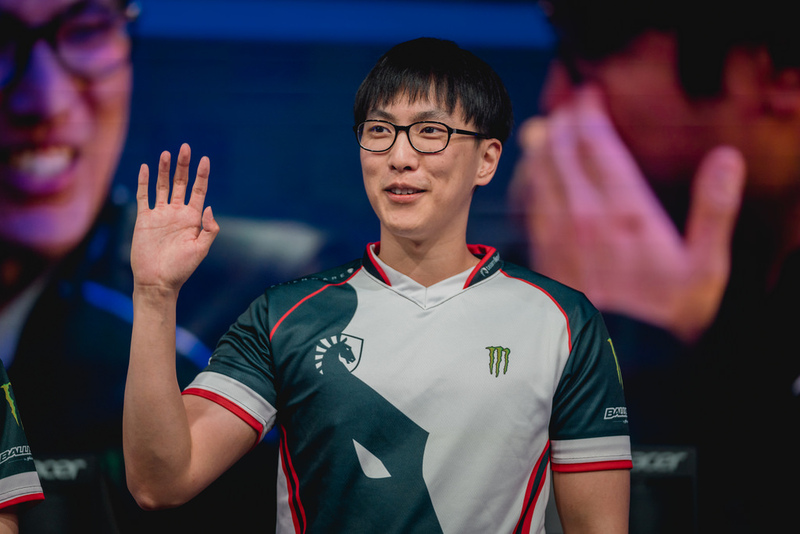 Doublelift will go against what may be the two best AD carries in the world on Sunday, Uzi and PraY. It’s his chance to shine on the world stage, but it’s too big a risk for our fantasy tastes. Hylissang should rack up big points in Fnatic’s match against EVO Esports, and that may be enough to justify his miniscule salary. Even if the next game against RNG is a doozy, the price is right for Hylissang. Day one showed that, as usual, international League of Legends is hard to predict. Different regions play different styles and different styles clash in unexpected ways. The teams are creating a new micro meta adjusting to recent patch changes. The relative strength of different regions is really only speculative, even after we have a couple games in the books. All those factors makes it tough to prognosticate for fantasy, but we’re doing okay. You did start Maple yesterday, like we told you, right?